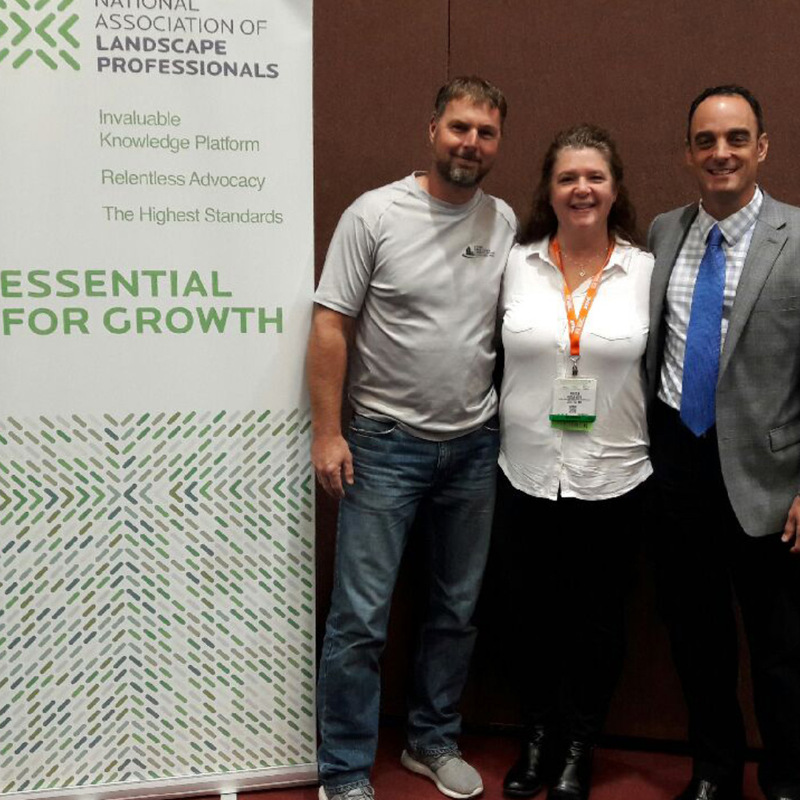 Earlier this year, The LaurelRock Company had the opportunity to participate in the National Association of Landscape Professionals (NALP) Trailblazer Program. LaurelRock’s President, Burt DeMarche, set aside two days to provide on-site mentoring at LaurelRock offices to NALP members Jeff and Nikki Nute of Stone Creations Landscaping (Loretto, MN). Trailblazer mentors are an elite group of landscape industry leaders who were nominated by their peers for making significant, long-term contributions to the industry. All Trailblazers are NALP members and have a minimum of 10 years in the industry. The Education Advisory Council vets Trailblazers through a review process. During the Trailblazer visit, company owners take a deep dive into their business, learning about strategic planning, people planning, and succession planning; they even undergo a thorough SWOT analysis with their Trailblazer. Additionally, as part of the Trailblazer program, Burt participates in the Trailblazers on Call program that provides members with quick answers to their business questions. More information about the NALP Trailblazer program can be found at http://bit.ly/2nsZxvl. Previous Post2018 Poolside Paradise … It’s Not Too Late!